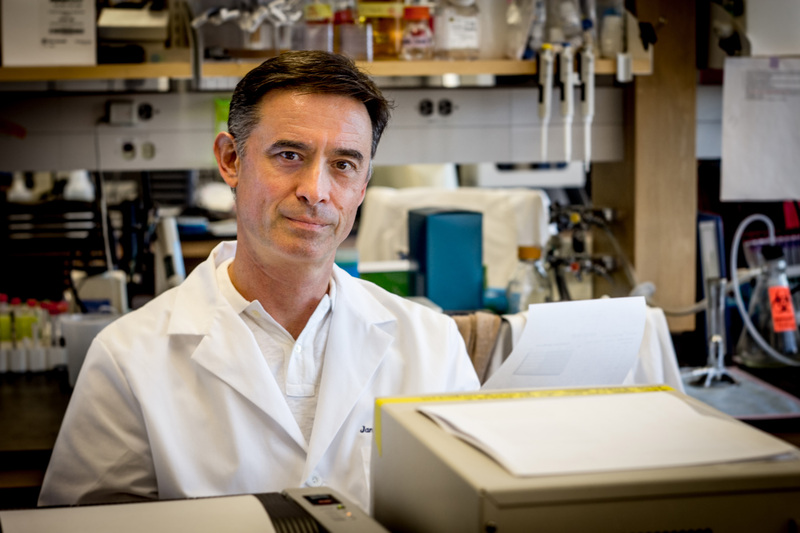 Dr. Janko Nikolich-Zugich is part of the research team whose findings squarely challenge the premise that cytomegalovirus, a common virus, is solely detrimental to the aging of the adaptive immune system. Megan Smithey was surprised by the effective immune response of old mice with CVM. Subsequent research will focus on determining how CVM strengthens the immune system. 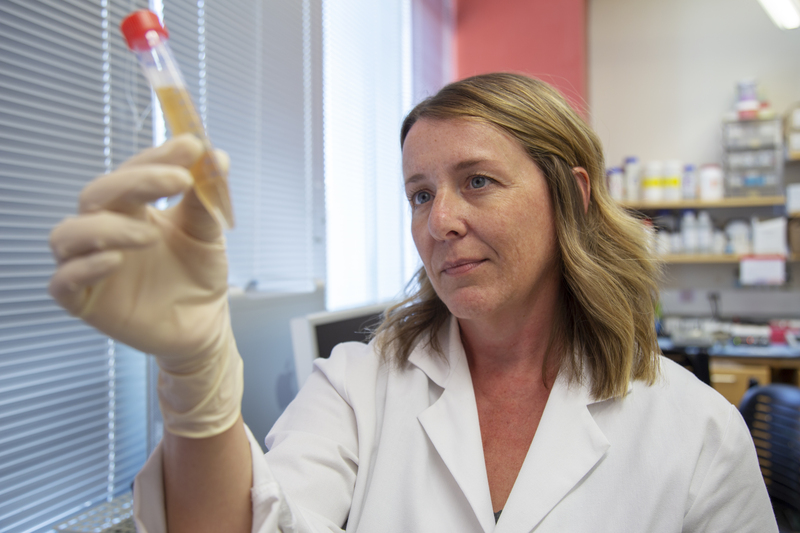 In search of a way to rejuvenate the immune system of older adults, Nikolich-Žugich and Megan Smithey began researching cytomegalovirus, or CMV. The virus, which is usually contracted at a young age, affects more than half of all individuals. Because there is no cure, the virus is carried for life and is particularly prevalent in older adults. Smithey and Nikolich-Žugich wondered how this lifelong virus ultimately affects the immune system. To study the effects of CVM, researchers infected mice with the virus. “We assumed it would make mice more vulnerable to other infections because it was using up resources and keeping the immune system busy,” Smithey said. But that’s not what happened. When infected with listeria, old mice carrying CMV proved to be tougher than old mice without CMV. Researchers are not certain how CMV strengthens the immune system — they are investigating that in a separate study — but they do believe they have gained new insight into the aging immune system. “This study shows us that there is more capacity in the immune system at an older age than we thought,” Smithey said. For years, immunobiologists thought T-cells — the army of defenders that fights off infection — decreased in diversity as people aged, leaving older adults more susceptible to diseases. But when researchers examined the mice’s T-cells, they found both groups of older mice had a decent supply of diverse T-cells. Smithey and Nikolich-Žugich’s study shows that T-cells are almost as diverse in old mice as they are in young mice. The problem is diverse T-cells are not recruited to the battlefield in older mice unless they are infected with CMV. “It’s as if CMV is issuing a signal that gets the best defenses out onto the field," Nikolich-Žugich explained. “This shows that the ability to generate a good immune response exists in old age — and CMV, or the body’s response to CMV, can help harness that ability,” Smithey added. The team, which also included Vanessa Venturi and Miles P. Davenport, of the University of New South Wales Australia; Adam S. Buntzman, of the UA BIO5 Institute; Benjamin G. Vincent, of the University of North Carolina at Chapel Hill; and Jeffrey A. Frelinger, of the UA Department of Immunobiology, recently published their findings in the Proceedings of the National Academy of Sciences. They plan to continue to study CMV and hope to see similar results in human studies. Their ultimate goal is to create a vaccine that can improve the immune systems of older adults and protect against infection.